A man who abandoned a toddler in front of a Harlem home last week has been arrested, the NYPD said. Antonio A. Staton, 22, faces charges including kidnapping, reckless endangerment and endangering the welfare of a child after allegedly leaving his ex-girlfriend's one-year-old son in the gated exterior foyer of a building on West 132nd Street, police said. 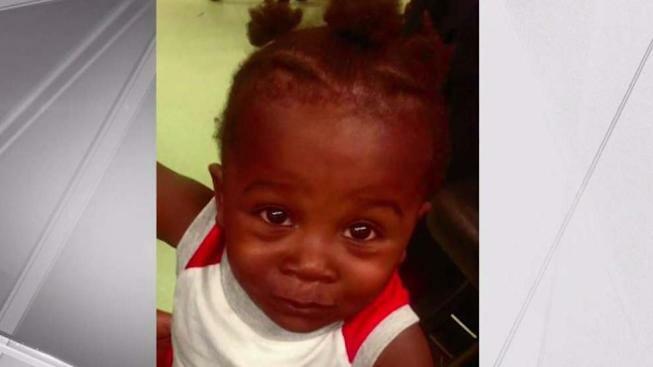 The toddler's mother dropped the toddler off at day care and went to school, a relative previously told NBC New York. At some point after she dropped the boy off, Staton picked him up. Around 11 a.m. on Thursday, police responded to a call from a woman who found the toddler in the foyer of a Harlem building. "The baby looked up and put his arms up. [He] just whimpered a little, like 'Pick me up.' [He] was scared, you know," the woman told NBC New York last week. After Staton put the toddler inside the building's exterior foyer, he put a table across the gate to keep him from leaving, police said. Afterward, he walked to an adjacent building, put a bag of diapers inside a garbage can and left the scene, according to police. Attorney information for Staton wasn't immediately available Sunday.